Why I chose this brand? I know I know this is the fourth Focallure product review which makes it look like they have given me these products but trust me I have purchased all these from my own pocket as I wanted to review a brand who is not in big leagues like MAC, NYX or even Maybelline. 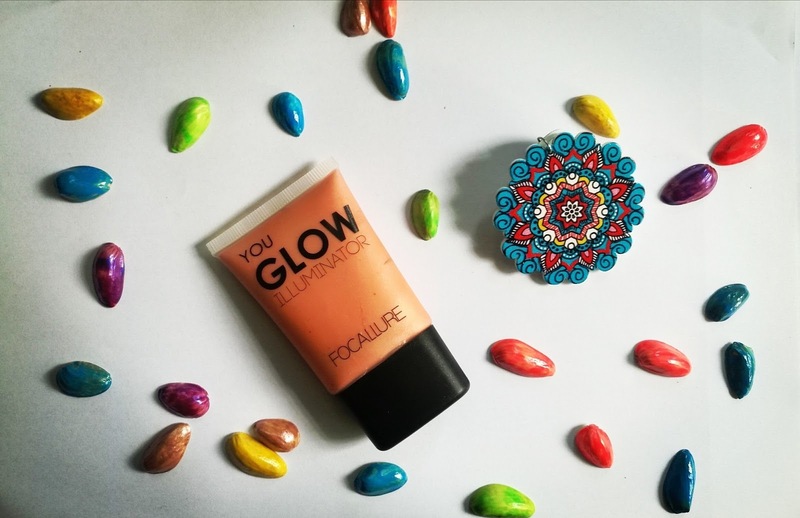 If you think NYX Born to Glow is a fantastic dupe for many high-end brands highlighters e.g MAC strobe cream then you need to check out Focallure YOU GLOW ILLUMINATORS. 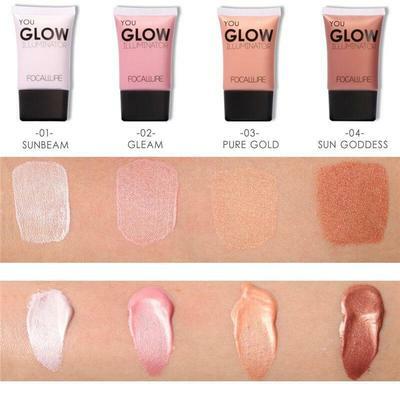 They are even a much cheaper dupe than that of Born to Glow. Enrich your lovely features with a touch of FOCALLURE cosmetics' liquid illuminator.A light application will give your skin that luminous and healthy goddess glow.Creates a sheer illuminating glow on face and body. As I have raved about their packaging before this one is also no exception. This also comes in a black matte box that says FACE on it and 02 GLEAM at the end. The tube is as similar to NYX Born to Glow as it can get. The quality of packaging is surely impressive in such small price. As it's quite obvious from the name it is Liquid Illuminator but unlike many other highlighters have a problem for being too runny this one is just the right amount of liquid. Only a small amount can give you that GLOW like within look. To sum up the entire review below I will list all the cons of this FOCALLURE GLOW ILLUMINATOR review. You don't have as many chocie as you have with other drugstore brands.